I am so sorry for the struggles you’ve had keeping control of your creative property. You have provided so many great resources and it’s terrible that people still take advantage of you. My friend Amy from GoPetFriendly had a lot of her blog content stolen. And when she challenged the company who stole her material, they sued HER for $5,000,000. She’s stubborn so she’s fighting back. Hopefully the attention you have gotten for your fight and her case will help all creators having materials stole online. That is terrible!!! I am glad she is fighting back and I hope she wins! You are incredibly talented in both your art and writing, as well as your generous spirit. 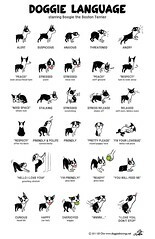 I have used your free downloads for years with my dog training clients which has been immensely helpful. Good for you for sticking up for your artistic rights while remaining professional on so many levels. Yay you! We met briefly several years ago at a Clicker Expo – it was a conference highlight for me!